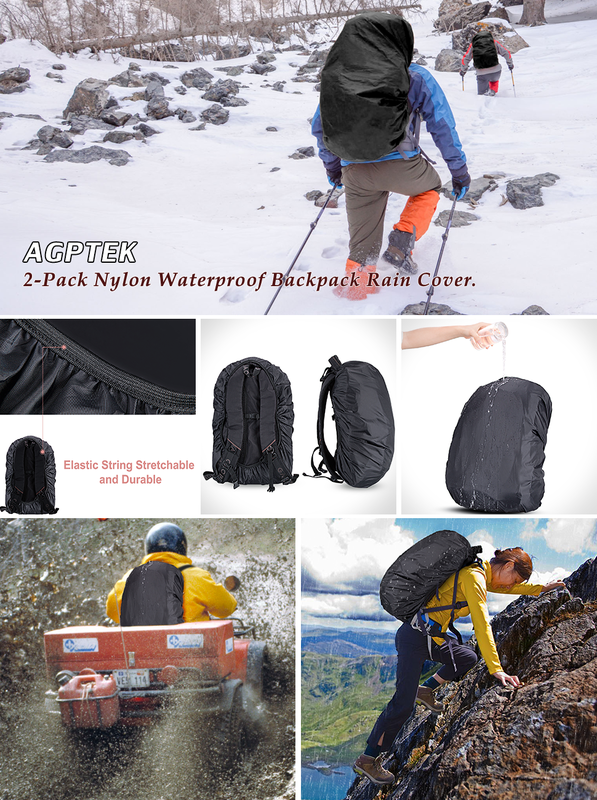 The AGPTEK waterproof backpack rain cover is wear-resistant and waterproof, which can avoid rain, dirt. Foldable design makes it easy to be stored in your backpack. It’s perfect for traveling, hiking, and other outdoor activities. Economical Package. You can buy 2 at reasonable price. Super Waterproof: Don’t let a drop of water in.Waterproof wear-resisting Nylon material can make it. It can resist water of 2000mpa hydraulic pressure rate. Ideal for Outdoor Activities: Perfect for outdoor travel, riding, climbing, hiking and so on.